Dropped by Fuunji, a shop regarded by most local ramen connoisseurs as a top tier ramenya of Tokyo, with a near perfect score of 97/100 on the major local ramen guide ramendb (http://ramendb.supleks.jp/s/12119.html). 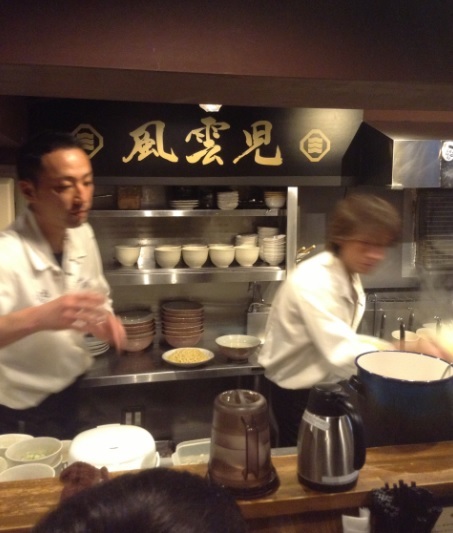 The rage in Tokyo, for almost a decade now, is to have both the noodle and its broth served separately (tsukemen). You dip the noodle in the broth and you slurp. I can’t see Montrealers embracing this trend as the fear of the broth cooling too quickly could discourage many, though in Tokyo you are offered hot stones to keep the broth warm. The other problem is an issue of perception: I suspect that Montrealers may find the presence of two bowls for 1 serving of ramen to be a bit too much on their table. 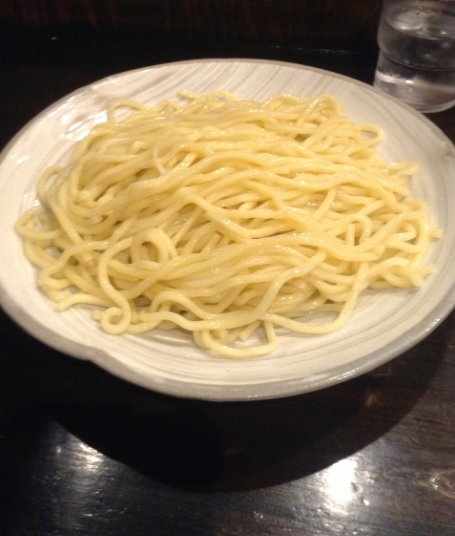 The tsukemen I picked featured noodles of perfecty mastered bouncy-ness, the noodles holding up just fine in the broth. It’s indeed in the complexity (depth ) of the work of the flavors (mix of chicken and fish) of that broth that a shop like this one does have the edge over lesser local ramenyas. It also, naturally, takes a good palate as you won’t get to identical results simply by relying on the notion of slow cooking. That said, although this was perfectly executed ramen (I have to give that to them: there is depth, there is complexity, there is mastery, there is even a good palate because it is still tasty), the flavor was just fine…no more….not ‘licking good’ as experienced with some other ramens. Was this ramen one of the very best I ever had? Certainly one of the better executed as far as technique goes. Do I get the raves? It’s food, therefore subjective by nature, so Yes, absolutely…nothing is bad, nothing is good, there are things you love, others you do not. Was this the most exciting ramen I ever had? Obviously, Not! Will I recommend Fuunji? Well, they do not need my recommendation…they have hundreds of diners lining up in front of their doors twice a day! But Yes, I recommend you try it as it is one of the very best ramen you’ll get to enjoy in terms of the sophistication/technique. Hopefully, you’ll find the flavor dazzling too. 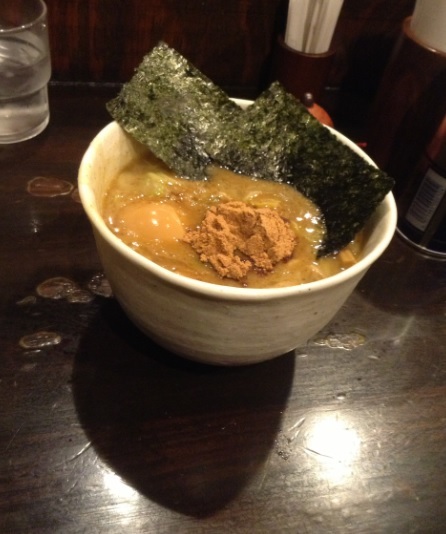 Verdict: 7/10 (Category: world class ramen, top tier ramen in Tokyo). 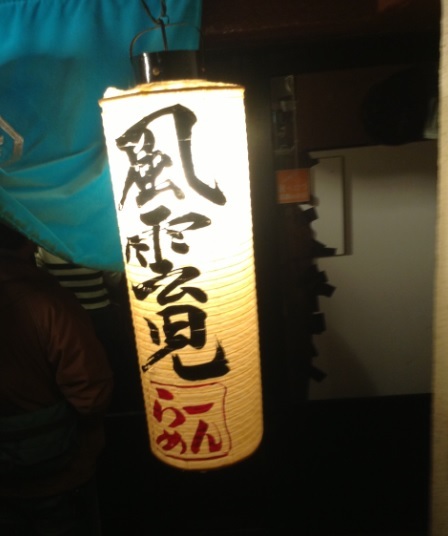 I am somehow having hard time with some of the most successful food in Tokyo. It is not about expectations based on the raves as I do not have expectations when I dine out … I just want the food to storm my palate. Take this very popular bowl of ramen: it is certainly well done and it is rare to have home-made noodles and a broth done this well in North America, BUT I can think of many bowls that have tantalized …right there in North America, whereas this bowl did not. Again, really well done, tasty for sure, just not as exciting in mouth as I would have liked. What I think a week later: My ratings have nothing to do with whether a meal was great or not, they are simply tools to convey, in the best way I can, how excited the food fared to me. Which, as ever, is of course utterly personal/subjective. So, keep that in mind when you’ll consider the rating above. I hope you got this right, though: Fuunji ramen’s, whether it excited me or not, is a world class bowl. I insist on the later assertion because you won’t oftently find such technically expertly conceived bowl of ramen even in Tokyo. This is a bowl that — whether you’ll enjoy it or not at the first slurp — will certainly grow on you.